Social media has now become an integral part of our lives and no one can deny that. Bollywood celebs are under more pressure than ever because of how powerful this medium has become. Stars’ every move is intensely and closely analysed and sometimes it can backfire on them pretty badly. Now, Varun Dhawan appeared on his close friend Arbaaz khan‘s chat show ‘Pinch’. The ‘Badlapur’ actor was quite cool and took all the questions like a great sport. 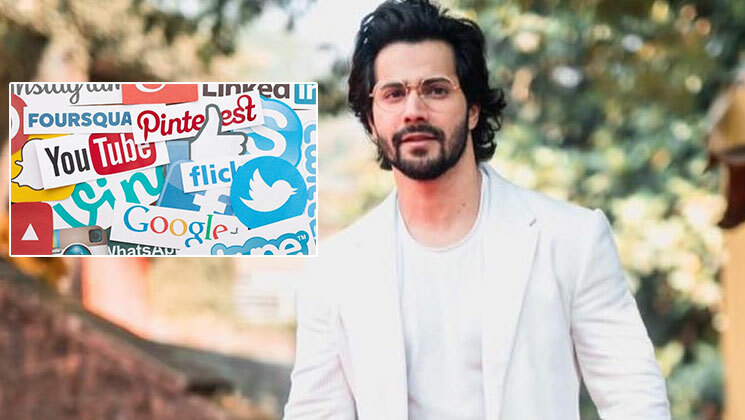 Varun Dhawan has hit the nail on the head and social media can become a boon or a bane. The actor is awaiting his next release ‘Kalank’. The film features a heavyweight line-up and apart from him, it includes Alia Bhatt, Sonakshi Sinha, Madhuri Dixit and Aditya Roy Kapur in lead roles. ‘Kalank’ is being directed by Abhishek Varman and will be releasing on April 17. Stay tuned to Bollywood Bubble for all the latest news and updates.